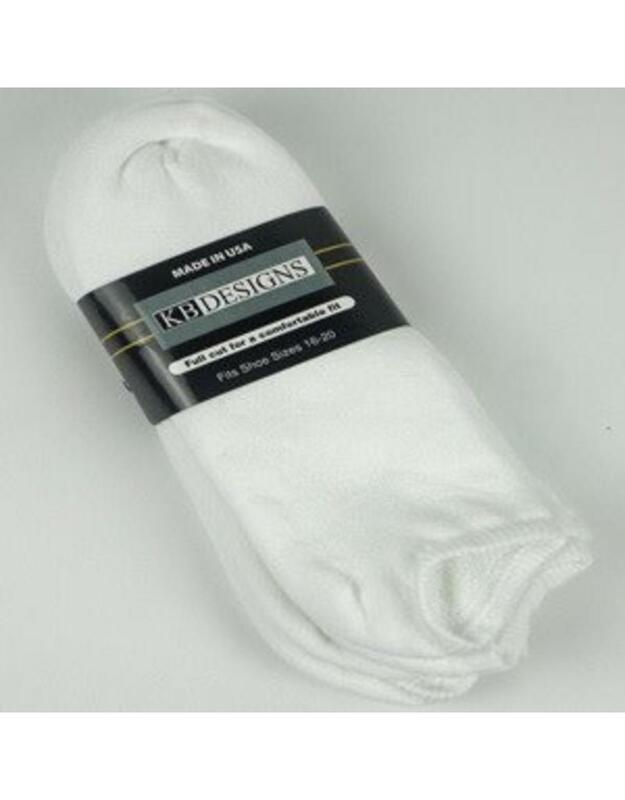 Extra Wide Sock Company designs their athletic socks specifically for wide feet and calves in order to promote healthy circulation and comfort. They have superior stretch that is non-binding yet stays up. 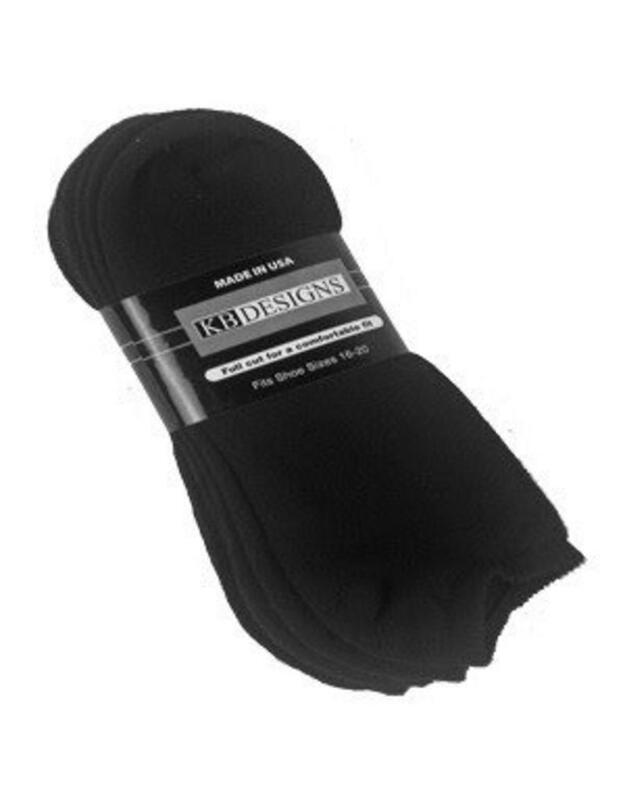 These are their no show athletic socks and comes 3 to a pack. Size 16-20 Black or White. 91% Cotton, 7% Nylon, 2% spandex. 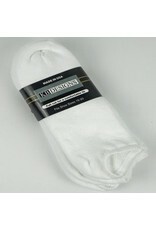 Ideal for people with Edema or any condition where feet, ankle, and or/calves are wide or swollen. Non-binding. No-Show Design. Made in the USA.